We had one of the most amazing weeks of our lives at Casa China Blanca for Daniel and Davina’s Puerto Vallarta wedding. Davina and Daniel love to do things their own way, and their wedding was one of the best examples of that. They completely rearranged the normal, traditional layout of a wedding day and structured it around light. The day started with cocktails and hors d’hoeuvres, then speeches, then the ceremony, then dancing. It was perfect seeing everyone get so emotional during the toasts, and then go straight into the ceremony. And literally straight from the ceremony to the dance floor. The energy level stayed high all day, and we were blessed with beautiful sunlight and the kind of magic that Mexico always seems to deliver. 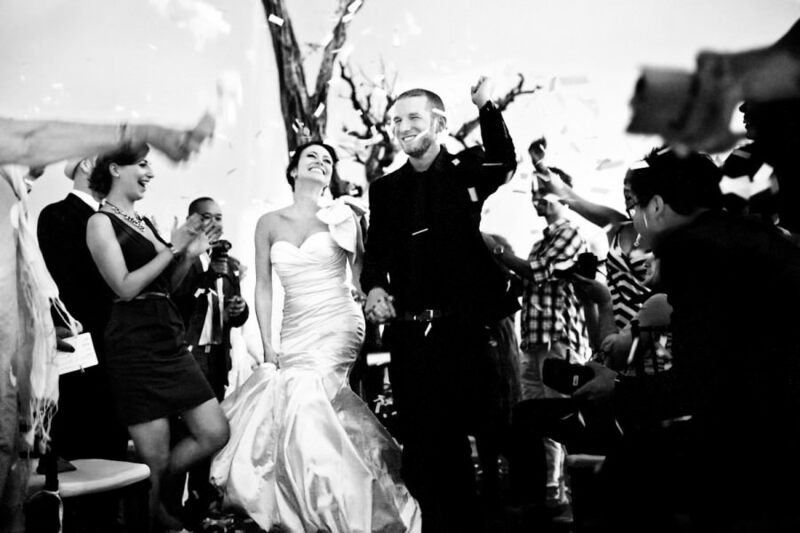 Davina and Daniel are photographers who had their wedding at a whitewashed beachfront estate in Mexico.